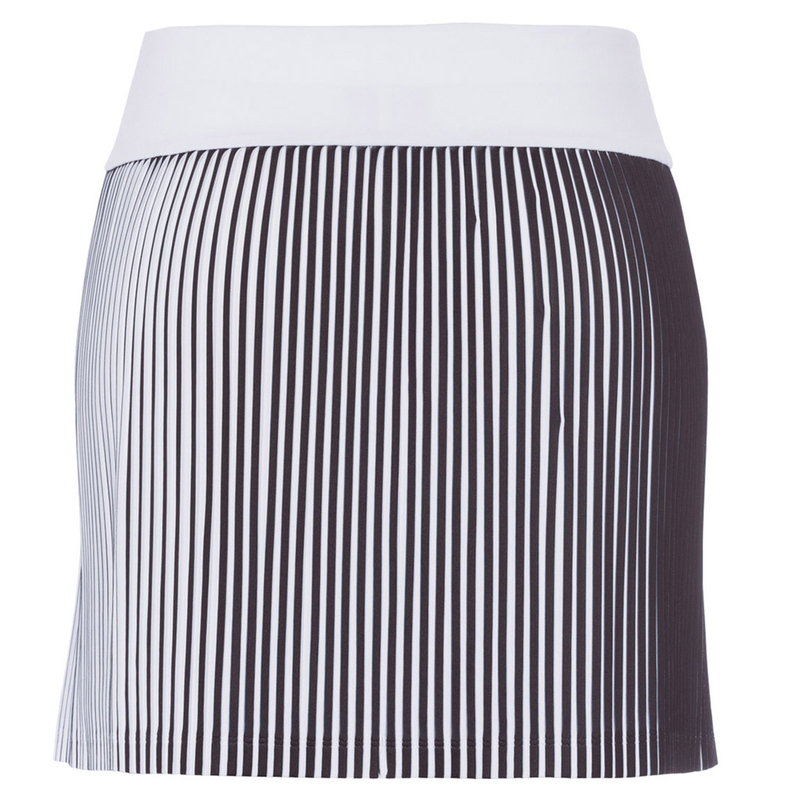 This fine crafted golf skort has a pleated pattern to give you added confidence heading towards the tee. 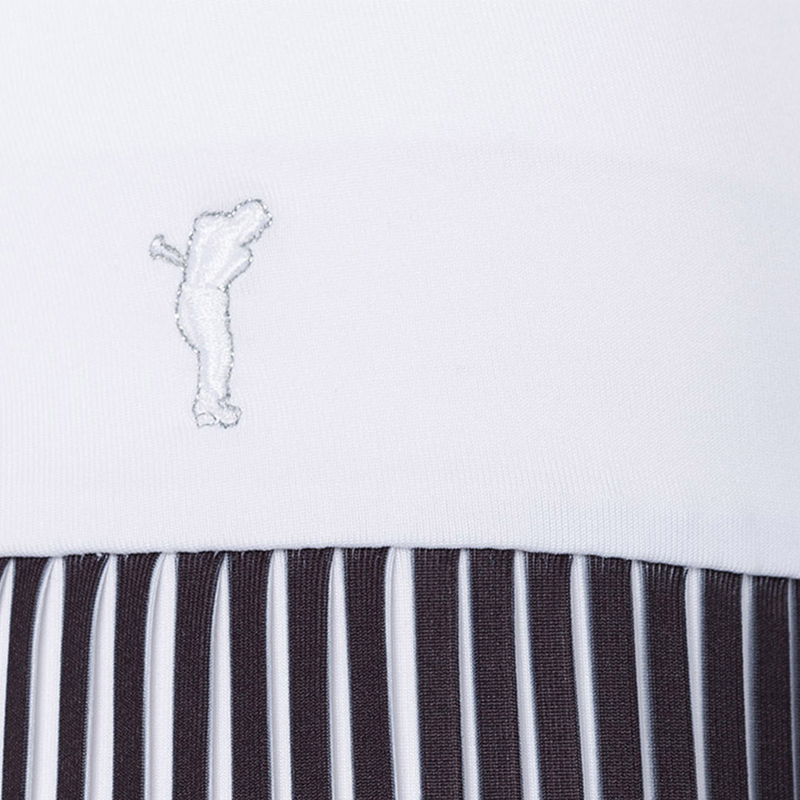 This has been designed with a soft jersey stretch material which offers comfort and performance as you play golf. 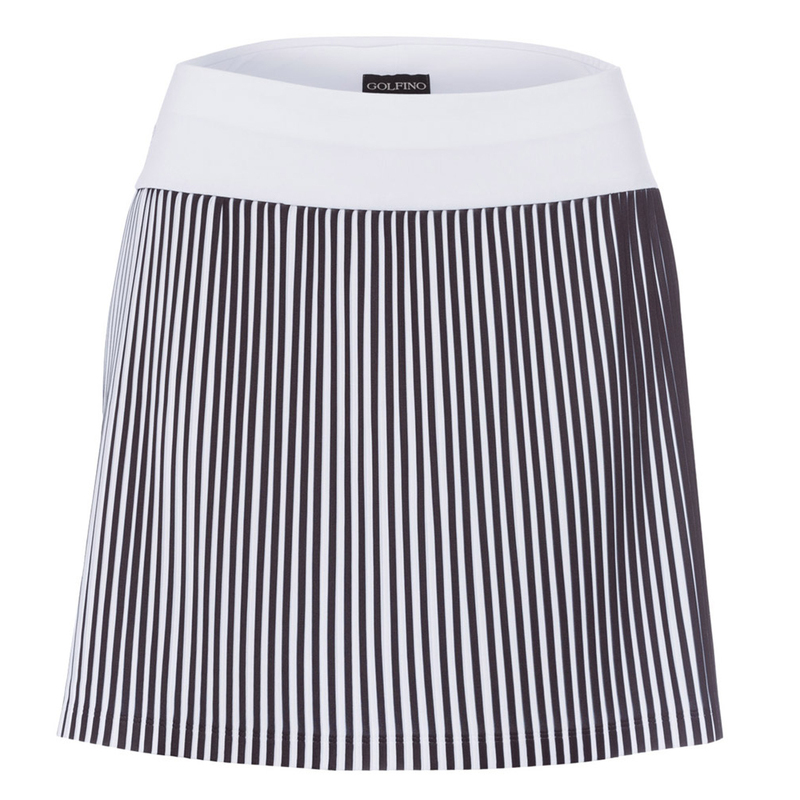 The skort is highlighted with a embroidery Golfer with shiny elements.